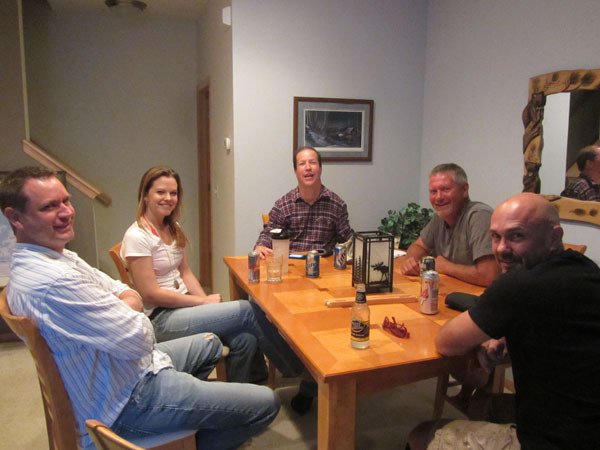 On Sunday night, we connected with our old friends, Jason, Jen, Tim, and Brad for some good old fashion BSTalking. 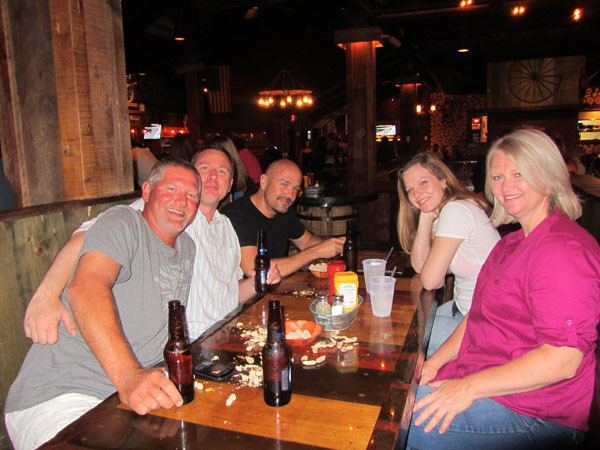 Then we went to Cowboy Jack's in Bloomington, Minnesota. This was my first time there, but I'd heard about it for quite awhile. 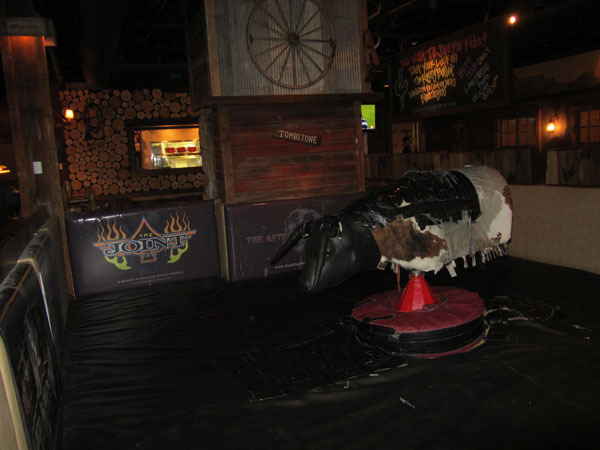 Mainly because they have a mechanical bull right in the middle of the bar! I rode the thing, but unfortunately the video didn't turn out so well. I can give you the details, though. I struggled to climb on it, I then spun around a couple of times in an unimpressive fashion, then I fell off. But I did it and didn't break any bones, so ultimately I figured my first ride was a success. 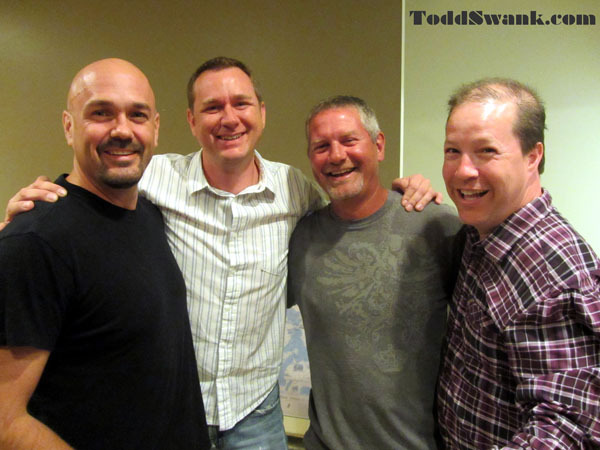 We had a great time together even if Jason did get a little bit too "Handsy" with Tim.